Follow Your Berry Own Beat: Strawberry Shortcake! 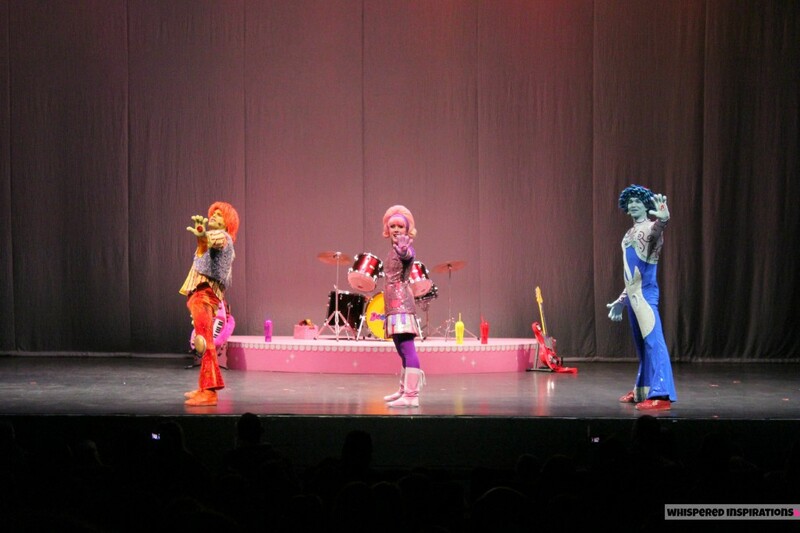 And special guests, The Doodlebops, of course! 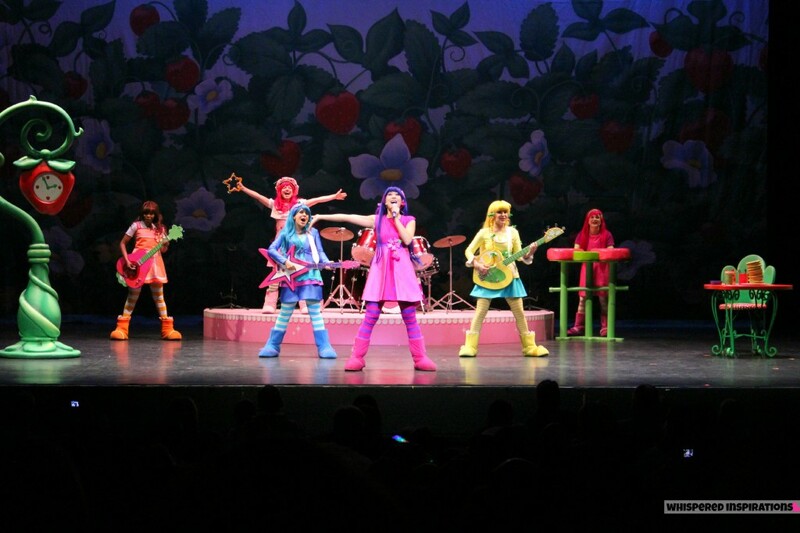 Last week, we had the very special opportunity to take our girls to The Strawberry Shortcake LIVE featuring The Doodlebops at The Chrysler Theatre. If you remember, I mentioned that Koba Entertainment has so many great shows all over Canada and in cities near you. Also, that they were coming to our city, Windsor for a LIVE show! You can check out all the listings, here. Boy, Were My Girls Fxcited! 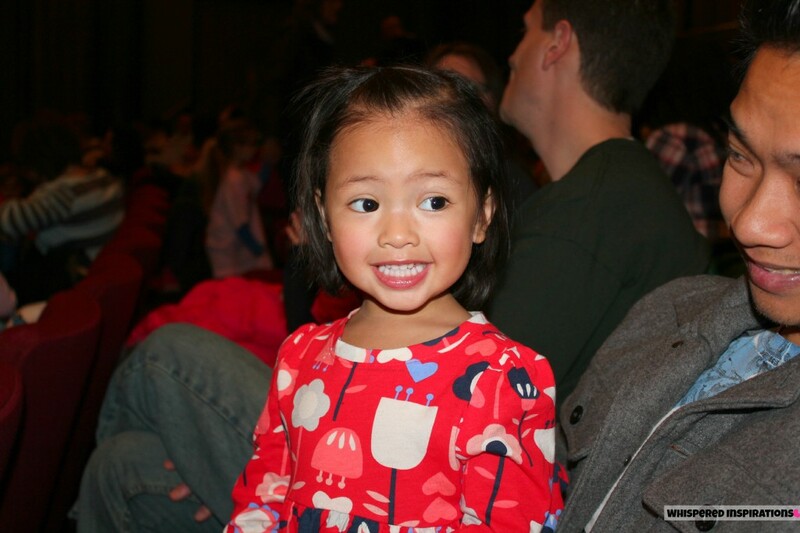 Here is Mimi pre-show and getting excited for “Stah-berry” to come out. The theatre was a perfect venue for the show and it was the perfect amount of people to maintain a nice and intimate show! The kids had their light wands at the ready and many were dressed in Strawberry Shortcake garb, it really made for a great sight to see all the Strawberry fans. The best part of having girls is being able to share with them things that I loved while growing up. Strawberry Shortcake is one of those things and though Gabby is older now, she still loved it! Mimi has just gotten bit by the Strawberry bug and had anticipated going to watch her in real life. It was so refreshing to see the happiness in their eyes, the smiles on their faces and the groove in their moves throughout the show! The Doodlebops kicked off the 1 hour and a half show and boy, did they start if off right! I even told my husband that I really enjoyed The Doodlebops, while I loved the rest of the show, they were so fantastically energetic and entertaining and I found myself dancing along with the girls. I loved their choreography, their voices and their interaction with the audience. Now, Strawberry of course steals the show but, the whole gang has an integral part in telling a great story with an amazing message for all kids. Follow your “Berry Own Beat,” no matter what! Strawberry and the gang showed up off their special skills all while working together. 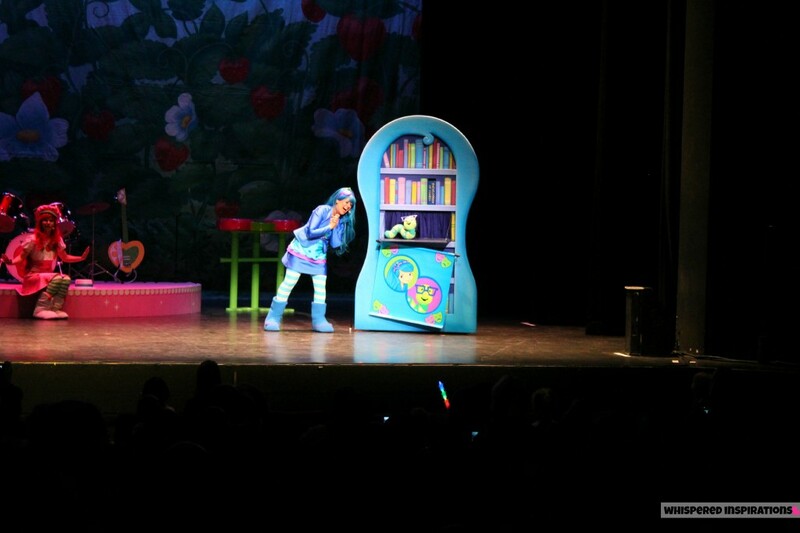 They showed that you need to stay true to yourself and follow your “berry” own beat–wherever you go! The show was filled with laughter, jokes, music and so much more! Mimi was intrigued the whole entire time and if she wasn’t sitting and watching intently, she was up on her feet and dancing. Gabby laughed at the jokes and definitely loved the music. Also, the girls were super girly and Gabby loooved that. 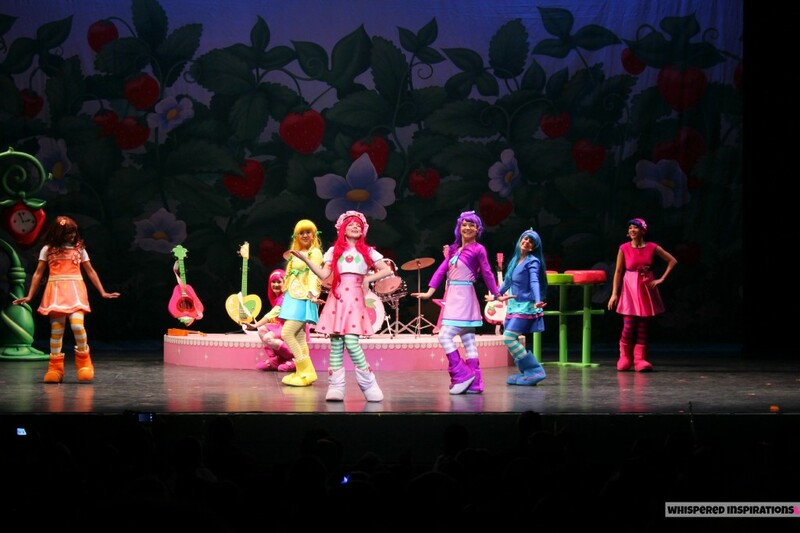 Strawberry Shortcake and The Doodlebops are touring in Ontario until early March and then will be headed to Nova Scotia and New Brunswick, PEI and even some American dates in Michigan and New York and Connecticut, to name a few. You can find tour dates and ticket information, here. 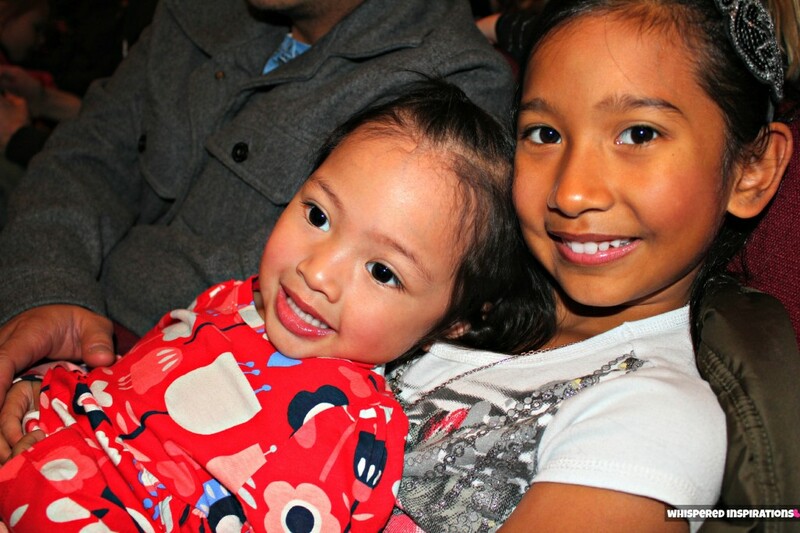 Have you ever taken your kids to a LIVE show and how did they like it? Previous Post: « LittleEcoFootprint: Unveiling the February Baby Love Box–It’s Fun, Organic, Natural and Eco-Friendly! Looks like fun! I really wanted to take my son to the Toopy and Binoo show but it is only playing in French here in Quebec and we don't speak French. It's sad to admit, but I am a HUGE Doodlebops fan! Love them – it makes me sad that my kids have moved on! My recent post Let's Get Healthy Together ~ Drink WATER! I've taken my son to Toopy and Boonu (whatever it's called!) and I think Max & Ruby? Can you tell if left an impression on me 😉 LOL! This looked like a cute show, sweet pics! It looks like a great time. Your daughters are to cute.